Offering a sun terrace and views of the city, Barley Sheaf Inn is located in Truro. Guests can enjoy the on-site restaurant. Every room is equipped with a TV. The rooms come with a private bathroom. Barley Sheaf Inn features free WiFi . 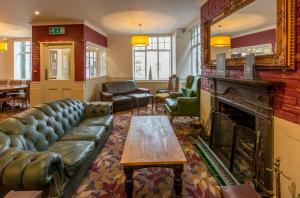 See all Barley Sheaf Inn reviews..